Here are the five must-read, must-watch auto news stories, reviews, and videos for Thursday, May 28, 2015. 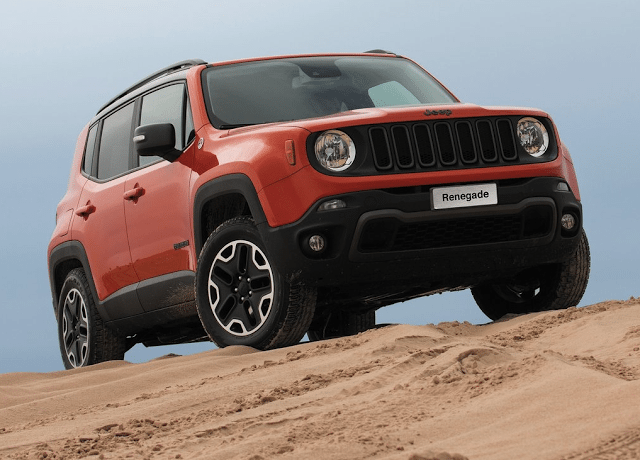 Following GM’s move from a couple months ago, Fiat Chrysler Automobiles will reduce its 5-year/100,000 U.S. powertrain warranty of in favour of a 5-year/60,000 mile warranty. The change applies to Chryslers, Jeeps, Dodges, and Rams. Fiat’s powertrain warranty stretches only to four years or 50,000 miles. Can Hyundai USA really sell 50,000 copies of the Santa Cruz per year if, in fact, they bother to build it? The case for and against. It’s comically low to be considered anything but a car. But the Mazda CX-3, a Nissan Juke fighter that’s joining the Honda HR-V, Fiat 500X, and Jeep Renegade in challenging the Chevrolet Trax and Buick Encore and Subaru XV Crosstrek and the front-wheel-drive-only Kia Soul, will be labelled as an SUV or crossover by both observers and buyers. That’s essential if the CX-3 is going to be successful. Here’s CarAdvice’s thorough Aussie video review and here’s the text version. CarBuyer.co.uk’s video reviews tread the middle ground between the typical brief-with-beauty-shots of many publications and Alex Dykes’ long but wonderfully detailed reviews. Here’s CarBuyer’s look at the 2015 Volvo XC90.